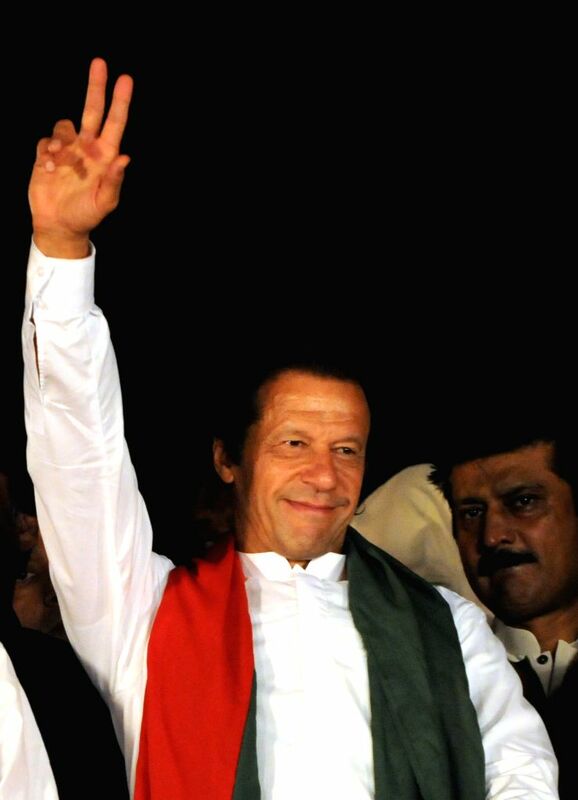 ISLAMABAD, Aug. 28, 2014 - Pakistan Tehrik-e-Insaf leader Imran Khan gestures to his supporters during an anti-government protest in front of the parliament building in Islamabad, capital of Pakistan, on Aug. 28, 2014. Two opposition leaders, whose thousands of supporters have staged sit-ins against the government of Prime Minister Nawaz Sharif, Thursday disclosed that the army has offered mediation to end the ongoing political tensions in the country. 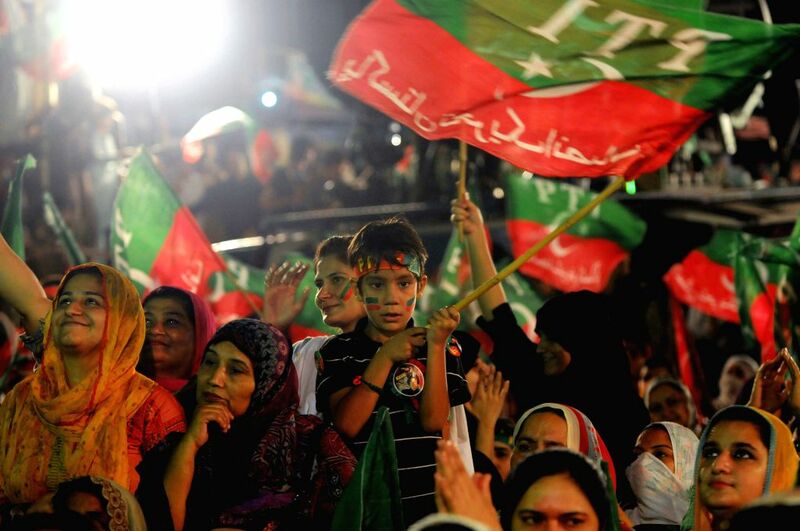 Supporters of Pakistan Tehrik-e-Insaf leader Imran Khan wave flags during an anti-government protest in front of the parliament building in Islamabad, capital of Pakistan, on Aug. 28, 2014. 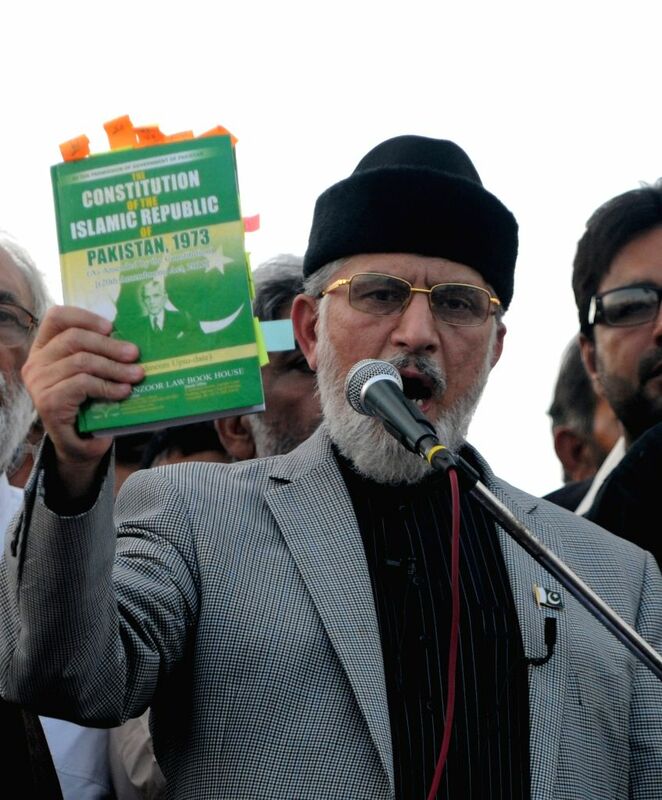 Religious leader Tahir-ul-Qadri speaks to his supporters during an anti-government protest in front of the parliament building in Islamabad, capital of Pakistan, on Aug. 28, 2014. 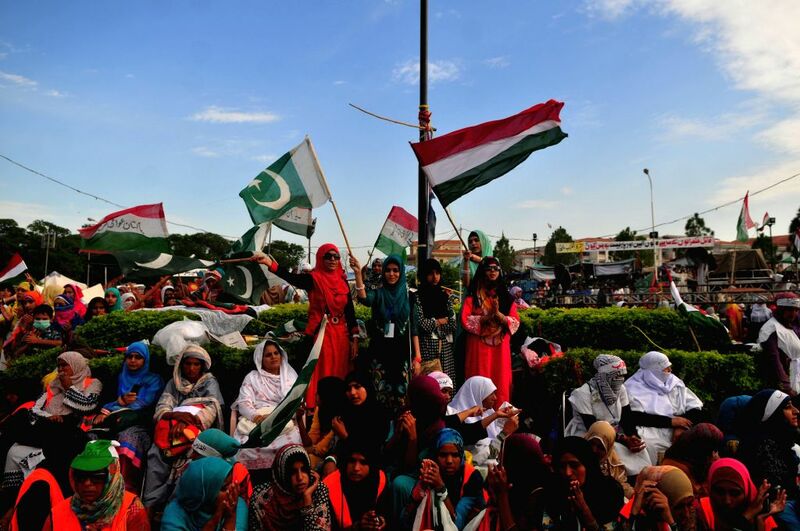 Supporters of religious leader Tahir-ul-Qadri gather during an anti-government protest in front of the parliament building in Islamabad, capital of Pakistan, on Aug. 28, 2014. 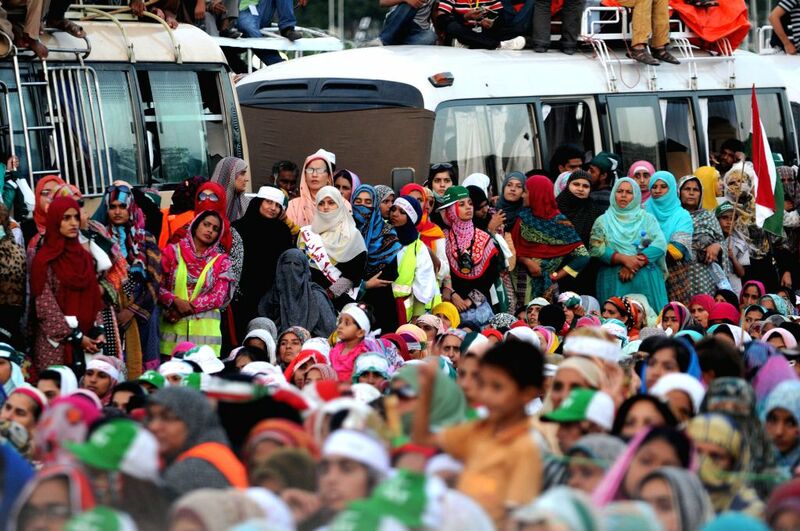 Supporters of religious leader Tahir-ul-Qadri gather during an anti-government protest in front of the parliament building in Islamabad, capital of Pakistan, on Aug. 28, 2014. Pakistani religious leader Tahir-ul-Qadri, whose supporters have staged an anti-government sit-in in Islamabad for two weeks, announced early Thursday that he was ending dialogue with the government as his demands have not been accepted.